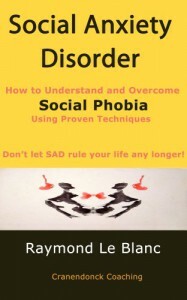 A good overview of Social Anxiety Disorder, whether your are the one suffering from it or if it is someone you know. This describes what exactly SAD is, and goes over some of the medicines and procedures used to treat it. My major complaint with this book is the editing; there are quite a few grammar and spelling mistakes, and I also noticed a couple incorrect uses of the form of the verb to be. Partially me just being picky, but still, they could have done better with the editing.